Trade-in a perpetual license and save up to 50%* on a 3-year subscription your favorite Autodesk products—including AutoCAD®, Revit®, Inventor®, 3ds Max®, new industry collections and more! Offer ends October 21, 2016. The Latest and Greatest Software: Access the most up-to-date Autodesk design and creation tools as they’re released! Lower Cost of Entry: Get the Autodesk software you need at a lower up-front cost. What You Need, When You Need It: Easily scale up or down to fit your organization’s changing needs. Quick and Easy Troubleshooting: Minimize delays and downtime by utilizing a range of technical support options. Need more details on subscription? Learn more about subscriber benefits, plans, and available suites and products. 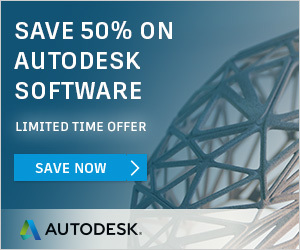 Connect with us to learn about the latest Autodesk solutions, and save!